If somebody had told me over three years ago that I would now be the owner of a cat, I wouldn’t have believed them. After deliberating which pet I could own, I settled on getting a cat and my first choice was to go to Cats Protection. My local branch of Cats advertises which cats are available in my area through the local website. Upon scrolling the website, I saw a family of kittens along with their mother who needed adopting and it was love at first sight. A white and tabby mother had given birth to four gorgeous kittens and they varied from being completely tabby with white accents to being mainly white with a little bit of tabby. I settled on a male kitten (initially named Lenny but after adopting, I found he answered to Pudding, so Pudding he has become!) that was predominantly tabby with white markings and also was longhaired. The adoption process for me really couldn’t have been quicker or easier! I contacted the phone number on the advertisement next to the kitten and spoke with my local Cats Protection representative. She then arranged to visit me the next day to do a home visit and ensure my house was safe for a cat and that I had enough space to be able to look one. She then said that I could go and meet the kitten at its foster home but I was honestly so excited that I wanted him as quickly as possible. After the volunteer left, I hot footed it to my nearest pet shop and spoiled my new kitten rotten with a bed, litter tray, food and some toys. She kept to her word and the next day (only two days after initially calling), Pudding was brought to my home, all the relevant forms were filled in and I was now the proud owner of a beautiful kitty! When Pudding was left with me, those first few hours were very scary for him and he hid behind my sofa for quite some time before taking to the upstairs landing. I was told that he is a very nervous cat in general and still now, three years on, he still is but that’s all part of his lovely character. 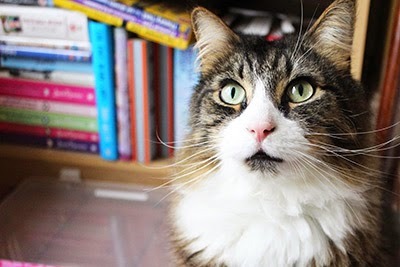 It took him a while to get used to new faces and to living in a new setting but as soon as he got used to his new home, he was playing, eating and doing everything a cat loves to do. I now can’t imagine not owning a cat and I know I will always have one but more importantly, I’ll always use Cats Protection and will always recommend them to anyone considering adopting a cat. 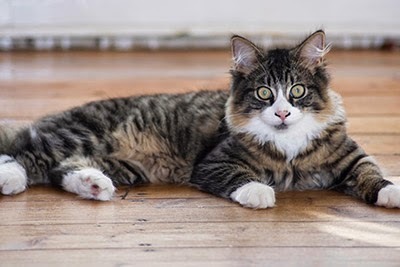 Find out more about adopting a cat from Cats Protection and welcoming a cat into their new home. A change of environment is always stressful for a cat, so it will often take a few weeks for them to feel relaxed in their new home. So glad Pudding now owns you, but you still need to learn it is not you owning Pudding ! In my home Rosie and Teddy (formerly Jack) now consent to live, came to me aged 10. CP rehomes cats of all ages, and all seem to settle well. I adopted Susie from cats protection and from the minute she was let out of the cat basket by the cats protection lady, it was like she was already home.. rubbing round my legs, exploring, getting into mischief and just checking everything out. She's awesome!